No question, you'll totally score more for your old handset by listing it on eBay or Craigslist than turning it over to AT&T, but wouldn't it be nice to have the option if you're really in a bind? According to Boy Genius Report, the aforesaid carrier is mulling the idea of implementing a trade-in program that would allow existing subscribers to put a "used value" towards the purchase of a new phone. While none of this has yet to be confirmed, we're told that any phone traded in must be less than two years old and in relatively good shape, and the new phone you're after won't have any subsidies attached; your trade-in value is the discount. Oh, and regardless of how awesome that shiny new whatever is, the maximum value of any trade is capped at $200. We'll keep an ear to the ground for more, but we wouldn't be shocked at all to see this go live sooner rather than later. 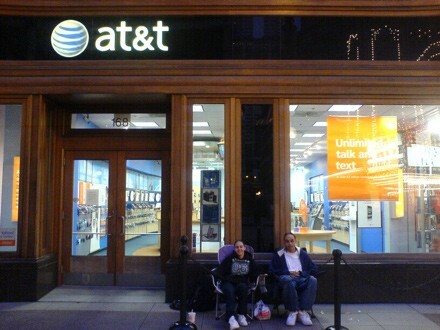 Rumored AT&T trade-in program could provide easy alternative to eBay originally appeared on Engadget on Sun, 01 Mar 2009 14:29:00 EST. Please see our terms for use of feeds.